CBS’s “Face the Nation” drew the most viewers last Sunday, with 3.03 million total. ABC’s “This Week” and NBC’s “Meet the Press” came in 2nd and 3rd place with 2.29 million and 2.23 million viewers respectively. CBS also won the key 25-54 age demographic, with 894,000 viewers, while NBC was next and then ABC. These latest ratings represent a holding pattern for the top three networks. “Face the Nation” has been the most watched Sunday show for the past 5 weeks, while “This Week” and “Meet the Press” have been duking it out for runner up. Overall and in the demo, this was a down week for ABC, NBC and Univision. Each of those networks had their worst week of the year, losing an average of 18% of their viewers compared to last week. Meanwhile, CBS and Fox had 4% and 14% increases, respectively, over last week. Compared to the same week last year, only “Fox News Sunday” was up in both ratings measurements, +25% in total viewers and +26% in the A25-54 demographic. “This Week” was down -5% in total viewers and up +5% in the demo, while “Meet the Press” was down -19% in total viewers and flat in the demo. 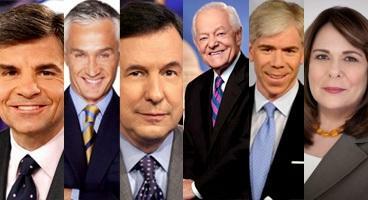 “Face the Nation” and Univision’s “Al Punto” were down across the board. Cable replays of “Fox News Sunday” averaged a combined 1,893,000 total viewers and 462,000 A25-54 viewers. 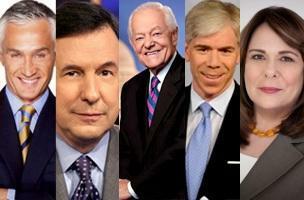 Rebroadcasts of “Meet the Press” delivered an additional 913,000 total viewers and 352,000 demo viewers.